Have you ever been haunted? I have. Charles Darwin haunts me. Don't get me wrong, I have never seen a ghost (or a flying saucer, for that matter), and reject the idea that they are the spirits of the departed who come a-calling. For information on those specific topics, I refer you to "Are Ghosts Real? ", follow-up, "Ghosts, Experience, and the Bible" and "Aliens, Evolution and the Occult". I'll be watching at TV documentary about cats, and they drop in that "it evolved this feature", so the spirit of evolution appears. Some entertainment piece, and guess what? Those owlhoots must feel compelled to shove in some "fact" about evolution that has nothing to do with the story. (Naturally, there are science fiction stories that are dedicated entirely to the subject, but some of us can suspend disbelief and watch the show anyway.) Over and over, evolution is assumed to be true and presented as incontrovertible fact, whether on . Of course, evidence against it and disagreements among evolutionary scientists are omitted. The truth of the Creator is simply left out as well. Evolutionism is a worldview, and treated like a religion with Darwin as a religious figure. Don't believe me? Post a joke about Darwin, or even a quote where he admits flaws in his hypothesis, and the Evo Sith come riding at you like an unholy cavalry charge to protect the object of their adoration. Look around at all of the Darwin and evolution pictures, anti-Christian images (like the Jesus fish symbol with legs, for one), public events (even government sanctioned, but the "separation of church and state does not apply because humanistic religions are favored), textbooks, artwork and so much more — but contrary evidence is censored; "science" must be "protected". Praise to Darwin and his wonderful theory! Darwin's spirit is haunting us everywhere. Bible-believing Christians and creation science ministries are working hard to negate that phantom, despite the further apostasy of Pope Francis. 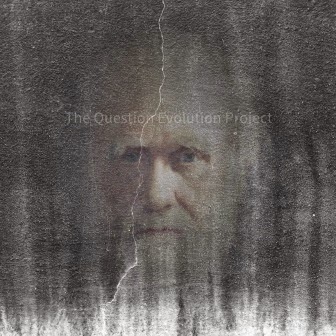 Worst of all, Darwin's haunting the church, intimidating and deceiving people into compromise. Some of us hold to the authority of Scripture, not the ever-changing whims of man-made science philosophies. Here's an article that covers that church-haunting aspect quite well. It was written a while back, so a couple of references to events and things that are going to happen, have already happened. But that little thing doesn't ruin the rest of it. That was roughly 200 years ago, yet as you walk through the town of Shrewsbury, you sense Darwin’s influence (his “ghost”) all around. Darwin Street, Darwin Terrace, Darwin House, Darwin Gardens, and the Darwin Shopping Center are just a few of the landmarks that honor and immortalize this man. To read the rest, go to one of my favorite haunts by clicking on "The Ghost of Darwin".